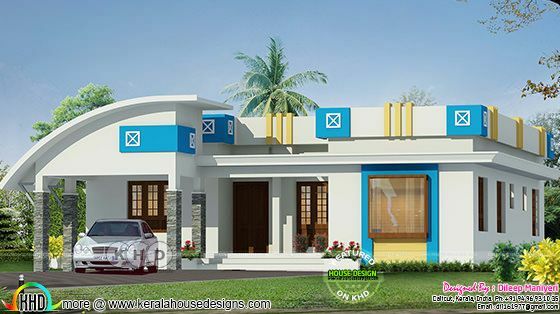 1720 Square Feet (160 Square Meter) (191 Square Yards) 3 bedroom arch type single floor home design. Design provided by Dileep Maniyeri, Calicut, Kerala. 0 comments on "Arch type single floor budget friendly home"